Online flash retailer, The Catch Group, says its decision to deploy a new Net Promoter Scoring (NPS) system has been the catalyst its management team needed to prioritise investment that drives better customer experiences. 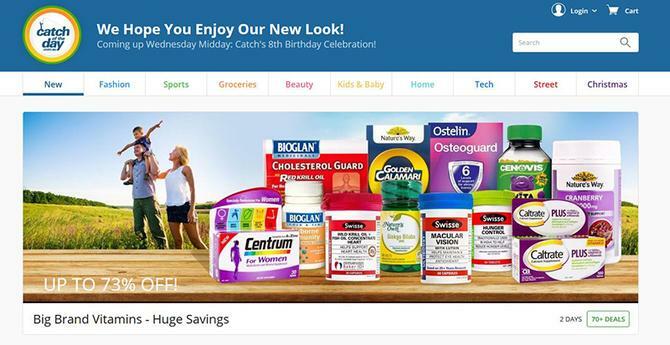 The Catch Group owns several well-known online retail brands including Catch Of the Day and Scoopon, which sell a mix of physical goods, local business and travel offers to consumers. Prior to adopting a dedicated NPS platform, the company used traditional market research methods, customer satisfaction surveys and feedback coming into its call centre to gauge customer experiences and sentiment. Having searched for an NPS platform to adopt, the retailer joined a beta trial of Zendesk’s new NPS surveys tools, built into the vendor’s customer service technology platform, which launched officially this month. The Catch Group’s head of customer experience, Adam Rudy, who has been managing the customer operations team as well as overseeing all areas of customer service for the past year, said it was pleasantly surprised to receive an initial NPS score of 58 after deploying the tools, and was now looking to raise the bar and get past 60. However, it was the comments from customers that have really given the business a new level of insight. Alongside the generic question asking people to rate their likelihood of recommending its brands to family and friends, The Catch Group also asked customers an open-ended question to explain why they’d given that score. Rudy said feedback had been used to devise the top three areas of improvement for the business. One of these was criticism that the retailer was too slow dispatching the goods. “We have done some major work in our warehouse… and we expect customers to be having a significantly better dispatch times this Christmas,” he said. “We did know this was an area to improve, but this has cemented our focus and decision. It really helped the management team justify why it’s worth spending the money to solve that problem and how it would pay off. Given the cost and difficulty of acquiring new customers, Rudy told CMO it was vital to continue finding ways of keeping customers happy and returning to its brands. The retailer will also look at segmenting out customer groups by recency of purchase, specific times of purchase and lapsed customer groups as it expands its NPS usage. To coincide with the official NPS surveys launch, Zendesk released a new quarterly report analysing 103,000 NPS survey responses from 230 companies piloting its offering. Not surprisingly, it found customer service to be a key driver of a customer’s NPS rating. Top phrases used in open-ended questions by promoter customers included “great service” and “great customer services”, while common detractor phrases included “poor customer service” and “difficult to use”. The research also showed customers are twice as likely to leave written comments on NPS surveys (53 per cent) as they are on customer satisfaction surveys, and that detractors often leave longer, more detailed responses, with 75 per cent at least 50 words. Fifty-four per cent of customer responses were either the highest (10) or lowest (0) rating.